David Clark's "Best Value" Aviation Headset! Weight (without cord assembly): 20 oz. New undercut David Clark comfor gel ear seals #40863G-02 provide outstanding contouring, comfort and noise protection. Undercut shape provides more room for your ears and feels like custom made. 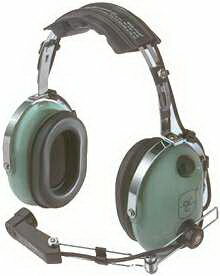 For H10 series aviation headsets. Improves communication by reducting wind and ambient cockpit noise while tranmitting. Ties over M-1/DC microphones. Improves comfort and wearability of all H10-Series Headsets. Eliminates top of head irritation.